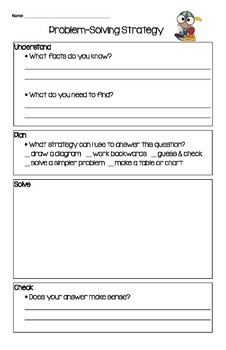 I made this math poster as a supplement to the McGraw-Hill My Math text 4-step plan to problem solving. It outlines the 4 steps to help students walk through problem solving. This was made to print out on 11" x 17" paper. It gives students plenty of space for problem solving.